Beautiful finishing touch to any formal event, whether for pageants, bridesmaids, a ball, or for the bride! 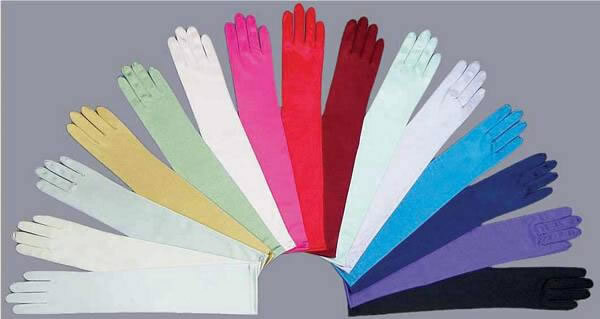 Satin gloves stretch and are a one-size fits all fit. Gloves are aprox 15 inches in length and stop right before the elbow. This is a great length as it keeps gloves from rolling down each time you bend your arm!